Pool repair isn’t not a flip flop and tank top type of job. True professional pool service techs have a vast knowledge of many professions. Pool service techs know that a pool needs different attention and different knowledge in order to preform different repairs. Pool service professionals know to study these topics. 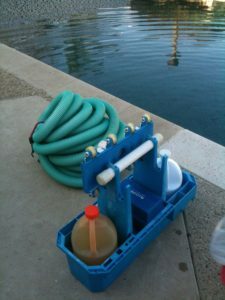 The pool pump draws water from the skimmer and the main drain of the pool in order to filter the pool water. There is a science in knowing the flow rate of this water. Service techs need to know flow rates as well as psi to make proper repairs on customers pools. Just the same, the pool has plumbing that returns clean water from the pools filter back into the pool through plumbing. If the pressure of this water is too great, the plumbing will not last. Properly knowing how this plumbing works is crucial in making proper repairs. Electricity powers the pool to do what it needs to do when asked. The pool uses electricity to power its pumps in order to circulate water. Other feathers that the pool may have such as the lights, heaters, automation, as well as salt cells, all run off electricity. Both high voltage as well as low voltage is used to power a pool and its features. Pool techs must be trained in electricity in order to properly repair the pool. Needing to circulate water, many parts of pool equipment is sealed. In order to create a water tight seal in the pools equipment a lot of moving parts are working together. Parts have to be taken apart and put back together in very specific ways. Not knowing how to property fix these parts can cost customer so much more if the pool service tech is not trained in pool repairs. Heating is one of the hardest parts for a pool service tech to learn how to repair. The majority of pool service technicians will not even mess with this form of repair. Natural gas and liquid propane heaters are commonly used to heat pool water. Being expensive to run, heaters are not used very much at all. Pool heaters sit with no demand most of the year. When the customer goes to turn the heater in it typically has an issue and needs repair. Having a service tech that knows how to properly service these heaters can make your pool repair experience much better. Training to be a pool repair technician is quiet the difficult task. Unlike Plumbers, electricians, hvac, and mechanics, pool service technicians can not go to school to learn how to repair pools. The schools simply do not exist. The state does not have very strict laws requiring pool service companies to have a trade license. Any one person can choose to work on someone pool legally as long as the invoice does not exceed $1,000. Unlicensed and untrained techs preform incorrect repairs on customers pools every day. Know that you are hiring a professional when choosing your pool repair technician. Pool repair is very difficult to learn when there are no classes or trainings specific to the pool industry. Pool service technicians learn in a variety of different ways. Some techs will sub contract work out to professionals and spend their time helping the contractor preform the repair. The techs do this for free just to gain knowledge on how to preform the repair. Other times techs have to seek out different classes in different locations to learn how to work on pools. Many head aches and frustrations can be avoided by hiring a trained pool service company that has their ROC. A ROC does not always mean that the techs with the roc doing the repair are competent of doing the repair, but the customer is covered. Most of pool service companies do not carry a ROC license making both the tech and the home owner vulnerable. If a repair is not done correctly from a license service professional, there is little the home owner can do. Writing and review can only go so far. 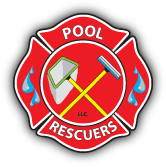 More often than not, pool service companies that carry an ROC are “in it to win it.” They want to carry to correct license to prove to their customer they are a professional. Although an ROC does not teach how to do pool repairs, it does provide value in the license holder. The ROC protects both the home owner as well as the business owner in many different ways. Pipes break, valves crack, brings dry out. The largest part of the pools equipment is its plumbing. Running all the way from the pool and back the the pool the pools plumbing are the veins of the pool. Pipes breaking from over pressurized water backing up from a dirty filter. Working on pool equipment plumbing comes easy to our service techs. We have to work on it so often that we can quickly and easily figure out how to repair a broken pipe. This can keep costs low if we know it will be a easy fix. Think of the pool pump as the pools heart. It keeps everything pumping and flowing in order for the pool to stay in top condition. Your pool pump runs for 6-8 hours a day, every single day of the week. And of the year. This means that the pool pump runs more than any other appliance of your house. It will need a repair from time to time. If we can not repair it we can help you replace it. Man! lights can be very difficult to work on. It may be possible that all that is needed is to reset the breaker. If the breaker is set, make sure the gfci is set as well. The light has two safety on it and it may be that the gfci or breaker just need to be checked. If the Gfci wont reset it may need to be replaced. There are a few reasons the light will not be working. The light may have a bad, broke, or burnt out light bulb. In this case all that needs to be done is to replace the bulb as well as the seal. Although the light works under water. it is still air tight. Replacing the seal will provide a better and longer lasting seal. If water gets into the light harness it can rust and ruin the harness completely. If the harness is bad it means the entire fixture will have to be re ran. This can be a difficult task if the cord has been pinched underground. Some of these light harnesses have 50-100 foot cord that needs to be pulled out all the way with the new light harness cord behind it. We may not be able to perform a repair every time. Sometimes we have to upgrade your pools equipment. This is not always the best news but it has its benefits. Usually equipment needs to be upgraded because it is out dated. This means that the equipment has been around for a while and new technology has taken its place. New technology can make your pool function better than it ever has. Single speed pumps have been replaced by variable speed pumps. Installing a variable speed pump on your pool can REALLY save you on your electricity bill. The up front cost my not be easy to handle but the long time it pays off. High voltage lights have been replaced with LED color changing lights. These lights draw less electricity causing the electricity bill to go down. Not only that. LED lights last a lot longer and have different colors. These new equipment upgrades also come with warranties. Thanks cool. After everything I just told you, you still have not called to schedule your repair? Look hiring the right pool service company to do your job is very important. There is a lot to say about a good pool repair tech. A lot of knowledge is needed in order to perform correct pool repairs. It is not uncommon for a bad repair result in more expensive repairs. We know how to do most repairs on pools. If we do not know how to do a repair that you need, we will find someone who does. Come on, call us now.